As our climate changes and we can no longer rely on the stable climatic systems that have allowed for rapid economic growth and development, the question of how to manage ever-changing natural environments that support stable livelihoods has become increasingly important. 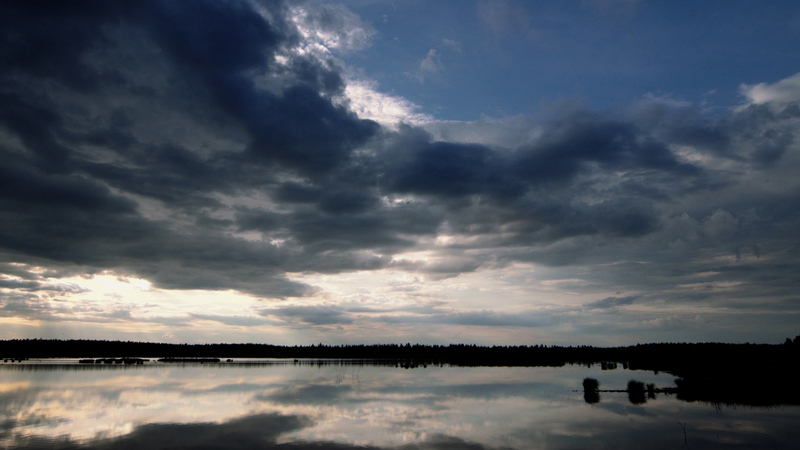 This case study describes how the villages of Selkie and Alavi came together to create an innovative governance model for watershed restoration in North Karelia, Finland. The collaborative management, or co-management, approach to the Jukajoki (pronounced yu-ka-yoki) watershed restoration project is delivering measurable environmental outcomes and changing how local and traditional knowledge is considered and incorporated into natural resource management and climate action. It also provides insight into new models of power sharing and knowledge generation that support sound ecosystem management in a rapidly changing world. This case study provides practical insights for policy-makers, practitioners and local communities on how ecosystem restoration can be achieved through the utilization of both traditional and scientific knowledge. Further, the case study provides insight into how the collaborative management governance model is a critical mechanism for natural resource management - a useful alternative to the more traditional top-down approach that often overlooks local traditional knowledge. *download the document version of this case study from the right-hand column, or visit the interactive online version through the links provided under further resources. Chapter 1 provides a brief historical and economic context of natural resource use in Finland; the ecological impact of Finland’s relatively recent shift to a resource extraction-based economy was the main driver of ecosystem degradation on the Jukajoki watershed. This section also includes an overview of the value of peatlands within a global climate context and explores the important context that value or narrative framing plays in ecosystem restoration. Chapter 2 details the events leading up to the restoration of the Linnunsuo wetland, which was drained and used as a peat-mining site. The timeline also highlights the accompanying narrative shift that resulted from the collaborative management process. By utilizing a more inclusive governance model, the value of natural resources (especially wetlands) is expanding to include local cultural and ecological values as equals to the more common economic framing. This chapter also provides an overview of collaborative management and how this governance system has been implemented in the Jukajoki context. Chapter 3 looks to the future, exploring the important role that collaborative management plays within the context of a changing climate. One of the most important conclusions to be drawn from this case study is the value of local-traditional knowledge as a parallel and equally valuable stream of information that, when recognized, leads to on-the-ground ecological improvements. Over a two-year period, from 2014-2015, OPOE worked closely with Selkie and Alavi village members to collect insight on the value of natural resources, new approaches to resource management, and the cultural traditions that continue to link these communities to their natural environment. Through this partnership we are able to share these community perspectives and highlight their innovative community-led approach to governance. This case study shows that ecosystem restoration needs to be tailored to local challenges and needs, this is especially true within the context of climate change. There is no one size fits all approach, however, there are lessons to be learned from the Jukajoki restoration effort that can be translated to climate change efforts the world over (provided here abridged - please see the report for the full text). POWER-SHARING: The ecological successes that are emerging from the Linnunsuo wetland restoration effort are made possible because of the co-management council’s commitment to power-sharing between stakeholders. While demonstrating a true commitment to power-sharing takes considerable time and effort, the results are invaluable: because no single entity solely controls the restoration and ongoing use of the Linnunsuo site, stakeholders each take on responsibility for its long-term success. PUBLIC-PRIVATE PARTNERSHIP: While the restoration of the Jukajoki watershed is providing measurable ecological benefits, and will have long-term climate mitigation and adaptation outcomes, it is clear that these environmental outcomes are not the sole reason behind this effort. The cultural and economic values that come from the restoration of the Jukajoki watershed are equally important. By creating a strong partnership between public and private actors, the project is able to accrue a number of co-benefits that meet the needs of a diverse set of stakeholders. This partnership also means that the costs of achieving this suite of outcomes are lower than if each objective was pursued in isolation. LEARNING BY DOING: Another core value of the Jukajoki restoration project is to approach the on-the-ground restoration efforts and governance approach as a continual process of evolution rather than a fixed-state. This means that all participants are involved in active learning. Community members learn about ecosystem restoration and scientific monitoring approaches, policy-makers learn to share decision-making power and local land use decision-making with local communities, scientists learn to cooperate with public and private parties that are living and working in the area. Through these opportunities for active learning, the collaborative management council is continually evaluating what they are learning and finding ways to improve what they are doing. FULL KNOWLEDGE BASE: One of the most important outcomes of the Jukajoki watershed restoration project is the impact it is having on how people think about community-based ecosystem management and restoration. The traditional top-down model for ecosystem and natural resource management broke down in the context of the Jukajoki, with the formal or ‘expert’ systems failing to detect and understand the watershed-wide damages caused by peat mining and other land uses in the area. However, by actively engaging and valuing the local-traditional knowledge that community members hold, and incorporating it as an equal information stream to ‘expert’ or scientific knowledge held by formal institutions, the Jukajoki project is demonstrating improved ecological outcomes. Similarly, the Jukajoki case demonstrates that innovation does not always require inventing something new. Sometimes reinventing old practices, by valuing traditional knowledge, can bring about innovation and valuing traditional knowledge in the context of new situations (e.g. a changing climate). The idea of creating case studies on community-based climate action evolved out of the OPOE initiative to better understand what inspires and fuels communities to take action on climate change. Tired from the persistent narrative of fear and inaction that surrounds climate change, we tell the stories of communities working to leave a legacy of resilience. To inspire action we sought out a novel approach to telling the human stories of climate change. Based on sound and rigorous research, and storytelling that is grounded in lived experience, each case study includes a suite of multi-media assets that provide a direct link to the people and perspectives that are driving these community-based climate actions. Our experience shows us that climate action is ultimately a trans-disciplinary challenge, one that requires inspiration across sectors and between locations. The OPOE case studies provide practical examples of community-based climate action and complement the personal and inspiring stories that are shared in our documentary films. You can dive deeper into the personal stories behind the Finland case study with our first documentary film, Jukajoki. Interested in using the film and case study for educational purposes? ​Let us know and we'd be happy to talk with you about our educational package. This case study has been produced as part of the Our Place On Earth Project (OPOE). Through storytelling and research, OPOE shares community-based efforts to respond to the greatest challenge of our time, climate change. Our Place on Earth (OPOE) is a project of PrettyGoodProductions (PGP), a US-based independent film production company. PrettyGoodProductions launched OPOE in 2014 with the goal of sharing inspiring stories of communities responding to the impacts of climate change. Through research and outreach OPOE approached local communities in the Caribbean, Nicaragua and Finland for inclusion in the multi-media and research-based initiative. After successfully completing a crowdfunding campaign (via Indiegogo.com), OPOE worked with community partners in each location to build mutually-beneficial partnerships that would facilitate great storytelling, while also supporting local capacity-building trainings. To this end, while in the field, OPOE staff provided training workshops on low-cost filmmaking for local nonprofits and community organizations. In addition to developing online, multi-media case studies, OPOE will soon release the final component of this three-part initiative with a series of documentary pieces that further explore the human stories behind climate change. The RegionsAdapt 2018 Report gathers the physical and socio-economic climate risks that 42 regions around the world face and their best adaptation practices to address these challenges. COP24 is now finished, but what do the outcomes mean for the future of climate resilience? Our experts will shed a light! This research project outlines the benefits, challenges, and successes associated with transboundary ecosystem management in Still Creek, a riparian ecosystem located in Metro Vancouver, BC, Canada. This paper synthesises findings from CDKN-supported research that has sought to improve understanding of how governance affects the effectiveness of nexus approaches.